First drill tests（John Klein rock, Yellowknife Bay, February 2, 2013）. Ejected Heat Shield (4.5米（15英尺） diameter) falling away, as viewed by MARDI on Curiosity as the rover descended to the Martian surface (August 6, 2012 05:17 UTC). Curiosity's image (without clear-dust-cover) after landing (August 6, 2012). Curiosity's first color image of the Martian landscape - taken by MAHLI (August 6, 2012). Curiosity's "Self-Portrait" - taken by MAHLI showing the MastCam and Chemcam cameras (September 7, 2012). 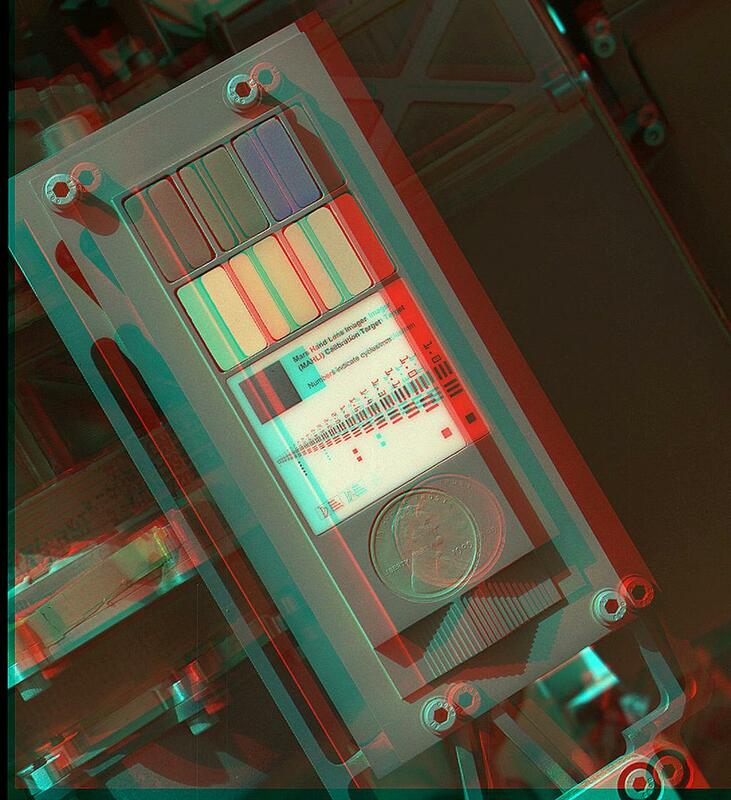 Calibration Target of the "Mars Hand Lens Imager (MAHLI)" (September 9, 2012) (3-D image[永久失效連結]). "US Lincoln Penny" on Mars - part of a Calibration Target on Curiosity (September 10, 2012) (3-D image). Wheels on Curiosity - "Mount Sharp" is in the background (MAHLI, September 9, 2012). Curiosity's tracks on first test drive (August 22, 2012) "parking" 6.0米（19.7英尺） from original site ("Bradbury Landing"). Comparison of color versions (raw, natural, white balance) of Aeolis Mons on Mars (August 23, 2012). Curiosity's view of Aeolis Mons (white-balanced image) (August 9, 2012). Curiosity descending under its parachute, as imaged by (HiRISE/MRO) (August 6, 2012). Curiosity's parachute flapping in the Martian wind (HiRISE/MRO) (August 12, 2012 to January 13, 2013). Rover's landing site is on Aeolis Palus near "Mount Sharp" in Gale Crater - north is down. Aeolis Mons rises from the middle of Gale Crater - Green dot marks Curiosity's landing site in Aeolis Palus - north is down. Curiosity's landing site (green dot) - blue dot marks Glenelg - blue spot marks "base of Mount Sharp" - a planned area of study. Curiosity's landing site - "Quad Map" includes "Yellowknife" Quad 51 of Aeolis Palus in Gale Crater. Curiosity's landing site - the "Yellowknife" Quad 51 (1-mi-by-1-mi) of Aeolis Palus in Gale Crater. The MSL debris field viewed by HiRISE (MRO) on August 17, 2012. The parachute landed about 615米（2,018英尺） from Curiosity (3-D: rover & parachute). Curiosity's landing site ("Bradbury Landing") viewed by HiRISE (MRO) (August 14, 2012). Curiosity's First Tracks viewed by HiRISE (MRO) (September 6, 2012). Map of Curiosity's route on Mars - moving east from "Bradbury Landing" to "Glenelg" (Sol 302, June 12, 2013) (3-D). Peace Vallis and related alluvial fannear Curiosity's landing ellipse and landing site (noted by +). 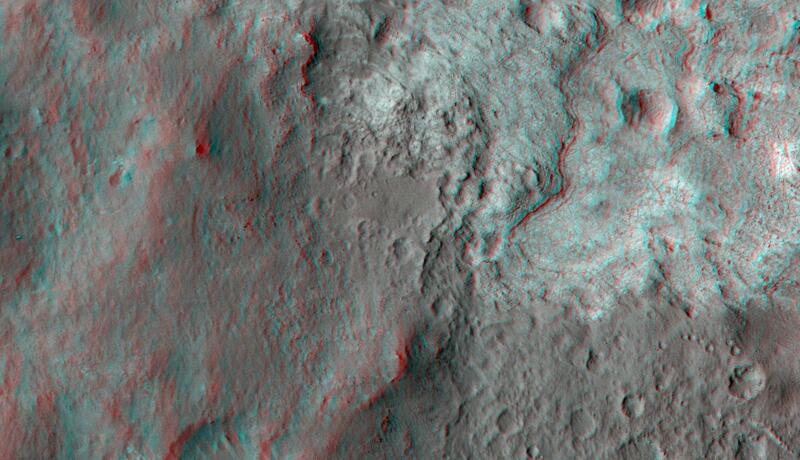 "Hottah" rock outcrop on Mars - an ancient streambed viewed by Curiosity (September 14, 2012) (close-up) (3-D version). "Link" rock outcrop on Mars - compared with a terrestrial fluvial conglomerate – suggesting water "vigorously" flowing in a stream. Curiosity on the way to Glenelg (September 26, 2012). Curiosity's first 360 degrees color panorama image (August 8, 2012). Curiosity's view, from about 200米（660英尺） away, of the Glenelg area - an important science destination (September 19, 2012). Curiosity at "Grandma's House" which is at Yellowknife Bay - true color. (December 24, 2012). Mosaic of MastCam pictures taken by the MSL/Curiosity rover on Mars at sunset with real colors (enhanced). ^ Curiosity: NASA's Next Mars Rover. NASA. 2012年8月6日 [2012年8月6日]. ^ Beutel, Allard. NASA's Mars Science Laboratory Launch Rescheduled for Nov. 26. NASA. 2011年11月19日 [2011年11月21日]. ^ Martin, Paul K. NASA'S MANAGEMENT OF THE MARS SCIENCE LABORATORY PROJECT (IG-11-019) (PDF). NASA Office of Inspector General. 2011年6月8日 [2012年8月6日]. ^ 6.0 6.1 MSL Sol 3 Update. NASA Television. 2012-08-08 [2012年8月9日]. ^ 7.0 7.1 7.2 Brown, Dwayne; Cole, Steve; Webster, Guy; Agle, D.C. NASA Mars Rover Begins Driving at Bradbury Landing. NASA. 2012年8月22日 [2012年8月22日] （英语）. ^ Nelson, Jon. Mars Science Laboratory Curiosity Rover. NASA. [2014-02-02]. ^ Impressive' Curiosity landing only 1.5 miles off, NASA says. CNN. [2012年8月10日] （英语）. ^ Overview. JPL. [2012年8月16日] （英语）. ^ Mars Science Laboratory: Mission Science Goals. JPL. NASA. 2012年8月 [2012-08-21] （英语）. ^ Curiosity's mission extended indefinitely. 3 News NZ. 2012-12-06 [2014-06-25]. （原始内容存档于2013-04-06）. ^ Webster, Guy; Brown, Dwayne. NASA's Mars Curiosity Rover Marks First Martian Year. NASA. 2014-06-23 [2014-06-23]. ^ Webster, Christopher R.; Mahaffy, Paul R.; Atreya, Sushil K.; Flesch, Gregory J.; Farley, Kenneth A. Low Upper Limit to Methane Abundance on Mars. Science (journal). 2013-09-19 [2013-09-19]. doi:10.1126/science.1242902. ^ Cho, Adrian. Mars Rover Finds No Evidence of Burps and Farts. Science (journal). 2013-09-19 [2013-09-19]. （原始内容存档于2013-09-20）. ^ Chang, Kenneth. Mars Rover Comes Up Empty in Search for Methane. New York Times . 2013-09-19 [2013-09-19]. ^ Neal-Jones, Nancy; Zubritsky, Elizabeth; Webster, Guy; Martialay, Mary. Curiosity's SAM Instrument Finds Water and More in Surface Sample. NASA. 2013-09-26 [2013-09-27]. ^ Webster, Guy; Brown, Dwayne. Science Gains From Diverse Landing Area of Curiosity. NASA. 2013-09-26 [2013-09-27]. ^ Chang, Kenneth. Hitting Pay Dirt on Mars. New York Times. 2013-10-01 [2013-10-02]. ^ Curiosity: 17 cameras, plutonium, and an 11-year-old computer. The Verge. 2012-08-07 （美国英语）. ^ Anderson, Paul Scott. Curiosity 'hammers' a rock and completes first drilling tests. themeridianijournal.com. 2013-02-03 [2013-02-03]. （原始内容存档于2013-02-06）. ^ 25.0 25.1 Curiosity Rover - Arm and Hand. JPL. NASA. [2012-08-21]. ^ 27.0 27.1 Curiosity Stretches its Arm. JPL (NASA). 2012-08-21 [2012-08-21]. ^ MSL Participating Scientists Program - Proposal Information Package (PDF). Washington University. 2010-12-14 [2012-08-21]. ^ Billing, Rius; Fleischner, Richard. Mars Science Laboratory Robotic Arm (PDF). 15th European Space Mechanisms and Tribology Symposium 2011. 2011 [2012-08-21]. ^ Andre Makovsky, Jim Taylor. Mars Science Laboratory Telecommunications System Design (PDF). Jet Propulsion Laboratory （英语）. ^ cnbeta. 好奇号在火星上留下莫尔斯电码. cnbeta. 2012-08-30 [2012-09-12] （中文（中国大陆）‎）. ^ 33.0 33.1 Williams, John. A 360-degree 'street view' from Mars. PhysOrg. 2012-08-15 [2012-08-16]. ^ Brown, Dwayne; Cole, Steve; Webster, Guy; Agle, D.C. NASA Rover Finds Old Streambed On Martian Surface. NASA. 2012-09-27 [2012-09-28]. ^ NASA. NASA's Curiosity Rover Finds Old Streambed on Mars - video (51:40). NASAtelevision. 2012-09-27 [2012-09-28]. ^ Chang, Alicia. 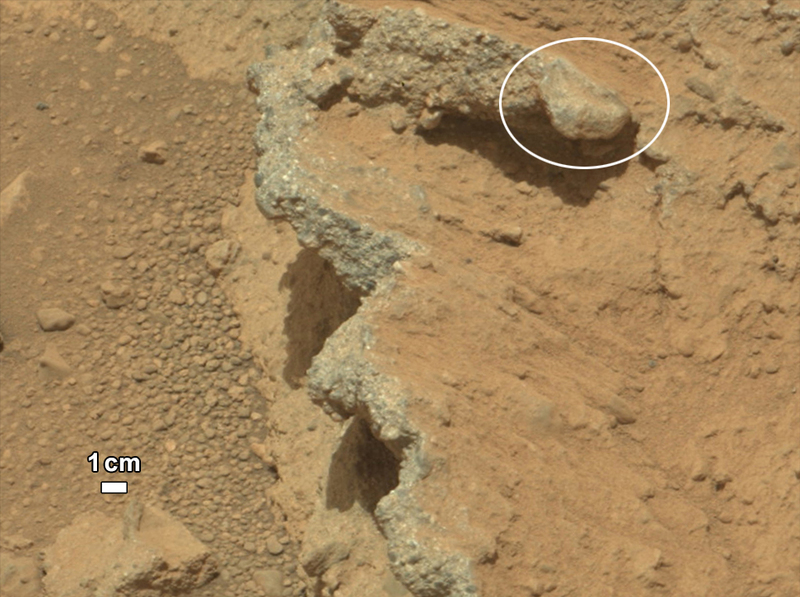 Mars rover Curiosity finds signs of ancient stream. AP News. 2012-09-27 [2012-09-27]. ^ Bodrov, Andrew. Mars Panorama - Curiosity rover: Martian solar day 2. 360Cities. 2012-09-14 [2012-09-14].